Nice, thanks for the laugh. Something like that was bound to happen. There is supposed to be a video either today or tomorrow of the descent. Also thats an awesome picture. 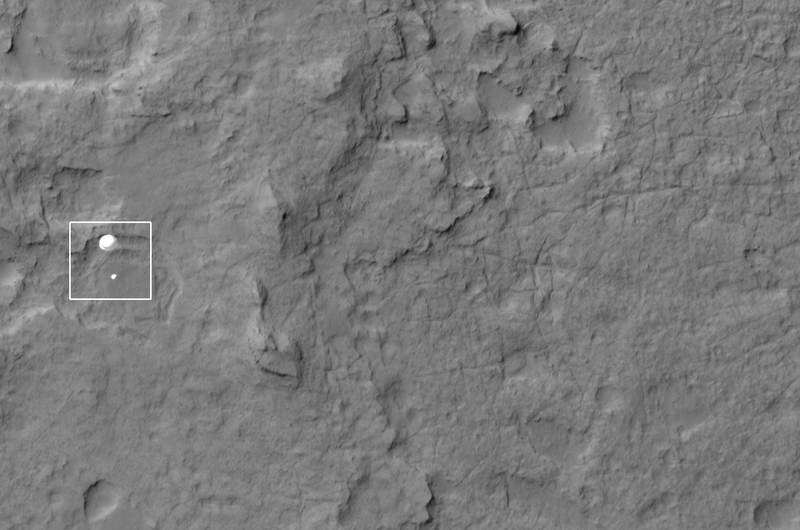 Wow, the detail in that HiRISE image is extraordinary! I had not even hoped that it would be that good! 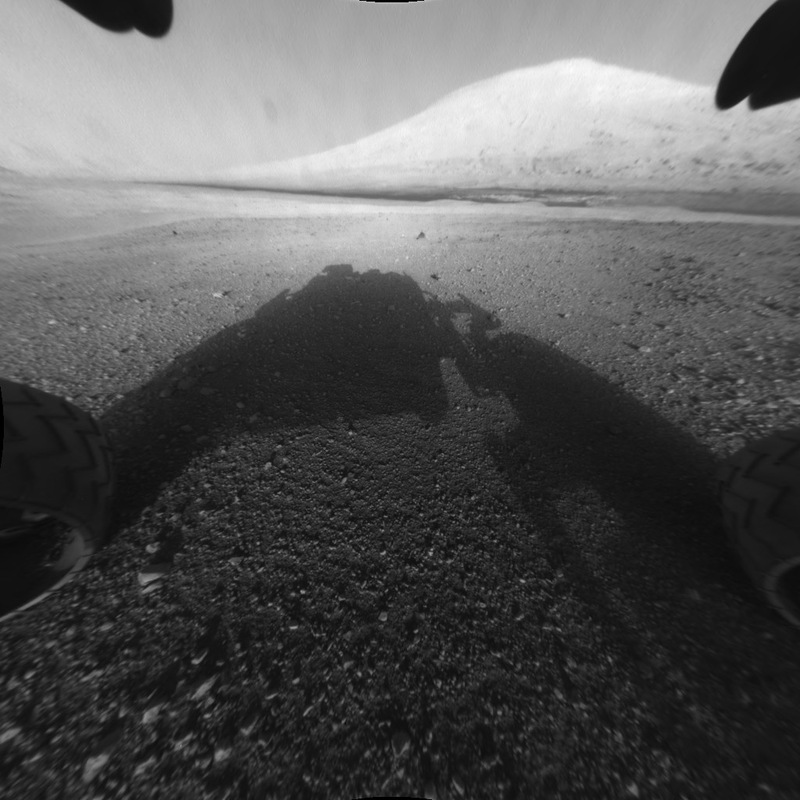 It looks like every Mars exploration team and every spacecraft did its job perfectly on this. This is truly a remarkable achievement, and will likely go down in history as one of the greatest triumphs of robotic planetary exploration. Yep, a really perfect job, congrats to all of them ! Now a even more interresting exploration can begin. I can't wait to see it !.. blink I can't wait to see it !.. Saw them talking about it on the news this morning. Funny how many people on the BBC website said this was a waste of money. Ignorant idiots. When do we get to see the landing video? I also assembled a 3D red/cyan anaglyph from two front Hazcam images, for those of you interested in such things. 3D is pretty useless for fisheye landscape photos like that, but I figured I'd put it out there. 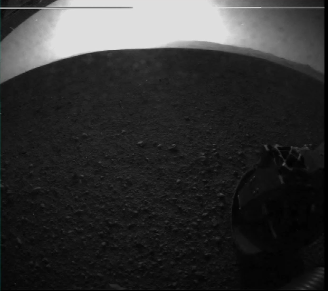 Just like yesterday when I was watching the live stream of everyone celebrating, there were people on that twitter thing saying comments like "you do know you've already landed on mars before" and "This is fake, it's done in a film studio out back". One person even said "Why are they celebrating, they already have spirit and opportunity on Mars". These type of people don't realize all the hard work, thinking and effort these scientists put into building something like this. I actually got a bit annoyed with it. I don't understand why they didn't have every camera as a colour camera though. Why have a black and white one? ^I know little of photography, so I could be wrong, but my guess is that it's for two reasons: it's easier to send greyscale images, since three greyscale images taken through a red, a green, and a blue filter probably takes up way less bandwidth than a single colour image. And because they don't just want to take images in visible light: like this they can put an infrared or ultraviolet filter too and get an image in that bandwidth. But as I said, I don't know too much of it so I'm sure someone else will have a better answer. Apenpaap is partially right. The biggest reason is that you have much more flexibility with a camera that uses different color filters. This allows you to gather much more information about whatever is being photographed, and gives you less constraints with analyzing it. Also, a color camera is more complex than a grayscale camera, and not always more useful, so you don't want to put color cameras anywhere that you don't need them. That's why the Hazcams will only take grayscale, because they don't need to do anything else.